She's Fantastic: WWE Best of 2013 KAITLYN! WWE Best of 2013 KAITLYN! Sorry for the lack of posts lately! The holidays brought the typical hectiness - parties, shopping, end-of-the-year work stress - and on top of that I bought a freakin house! (Well almost, the offer was accepted and the mortgage went though, but closing isn't until the end of January). There goes my toy budget for 2014... seriously. I actually made a deal with myself to only spend money on toys that I earn from selling other toys and comics on eBay. I also made a release calendar of my must-haves for the year. This will be the first time in forever that I'll be wishing for a weak turnout at ToyFair! Anyway, I will be packing up my collection shortly and I honestly probably won't get around to unpacking it until late Spring. Hopefully I can keep up with interesting reviews, but I have no way to predict what the next few months will be like. 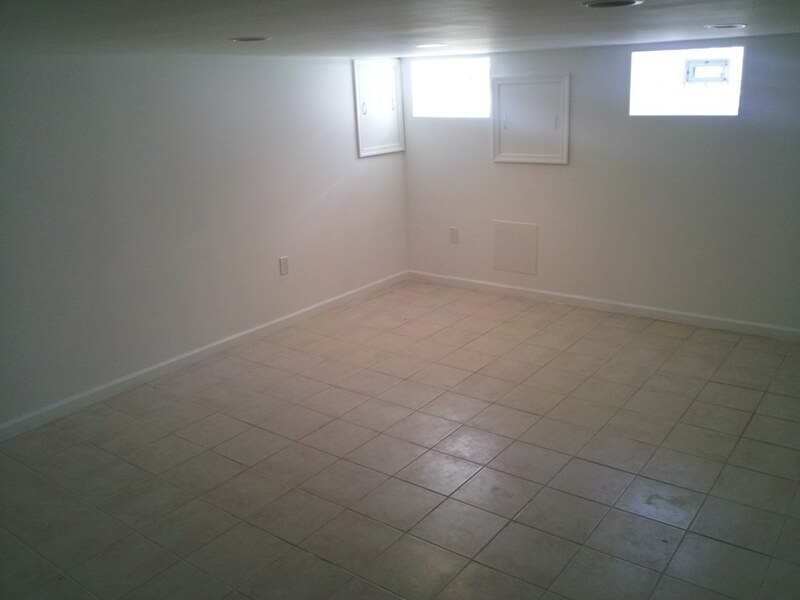 On the bright side, my new man cave is going to be H U G E. Seriously - at least 4 times the size of my current cave. I'll try to post a picture below. Anyway, enough of my crazy. Hope everyone had a great holiday and got lots of toys! Let's check out Kaitlyn below! Kaitlyn is my favorite wrestling figure of the moment. She has awesome hair, a cool quirky facial sculpt, and a unique tough-girl outfit that makes her stand out from the spandex crowd. If I had to search for something to be critical about, it would be the "chunkiness" of her bangs. I know that's just a limitation of plastic hair, but it's still a distraction. Other than that, I think she's a beauty. "Celeste Beryl Bonin (born October 7, 1986) is an American body builder, model, and professional wrestler. She currently performs for WWE under the ring name Kaitlyn. Bonin started her career as a body fitness model. In 2007, she won the National Physique Committee (NPC) John Sherman Classic Bodybuilding Figure and Fitness Championship, came in fifth at the Arnold Classic in the NPC Figure Class D competition, and also was in the top five at Musclemania Superbody, in the Figure Universe - Tall category. She was named Miss November in 2008, placed 16th at the NPC Junior Nationals that year in the NPC Figure category, and was part of the Hardfitnes Calendar. Bonin also made an appearance in Flex Magazine in 2009. In July 2010, Bonin signed a developmental contract with WWE, and was assigned to Florida Championship Wrestling, WWE's developmental territory. She won the all-female third season of NXT competition in November 2010, and made her main roster debut in December 2010. Kaitlyn won her first WWE Divas Championship on the 20th Anniversary episode of Raw in January 2013, and would drop the title to AJ Lee at the Payback pay-per-view." I'm suddenly hoping Mattel will do a Crystal Castle. I can't wait to pimp this space.